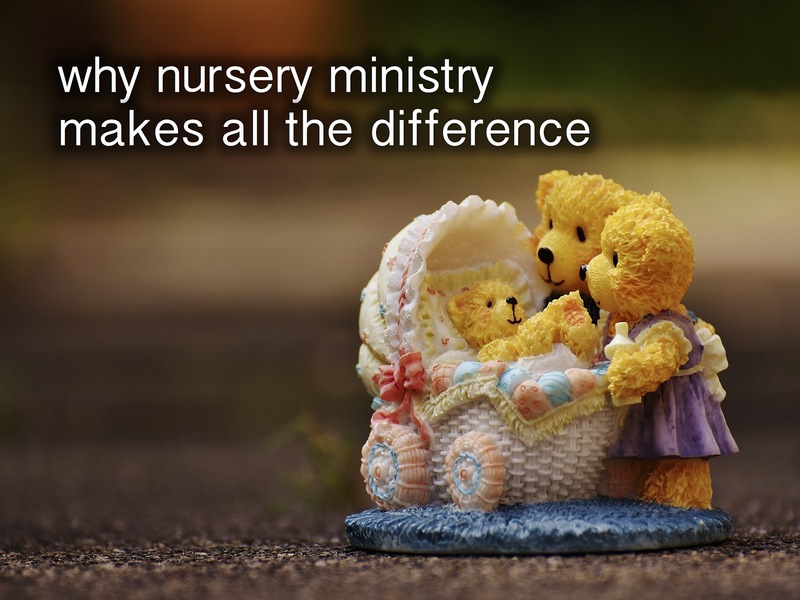 I believe nursery ministry makes a huge difference in a church. And I believe it provides the greatest opportunity to impact children. There is no other time frame that has so much potential to lay a spiritual foundation in a person's life. Babies' brains can form over 1,000 neural connections every second. And these connections are the building blocks of their future. Children who are read to from the Bible, talked to about God, sung worship songs to and given personal attention in the nursery will have better cognitive capacity and a better opportunity to grow up to follow Jesus. And nursery ministry leaders that really want to influence and impact children in a significant way, will not only focus on the time they have with the children at church, but will also focus on influencing their parents. Why? Parents are the biggest influencers of their children. A baby's spiritual foundation is most affected by their day-to-day experiences at home. Coming alongside parents and giving them the tools, resources and knowledge they need to spiritually lead their children at home is a must. Please...please...please...make nursery ministry a priority at your church. The youngest members of the next generation must have your spiritual influence now. Here are some more practical ways your nursery ministry can impact babies and their parents.